Now you can afford professional-quality program printing services custom made for your special occasion, whether it's weddings, dance, music, concert recitals, or sporting events. 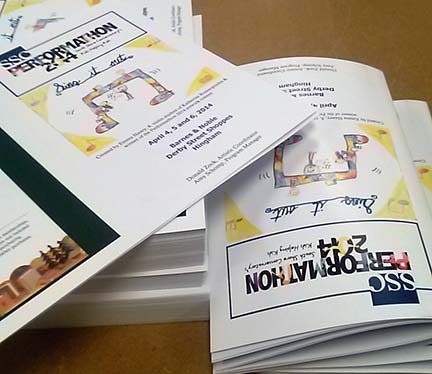 Our high-quality programs can be printed in black & white or color with a variety of finishing touches, such as spiral binding and clear acetate covers that make your event look professional. Need a specific paper stock? Stop by our shop conveniently located on the South Shore in Norwell, MA to see our selection. Now you need to get people to your event: Fill seats by sending out customized invitations!